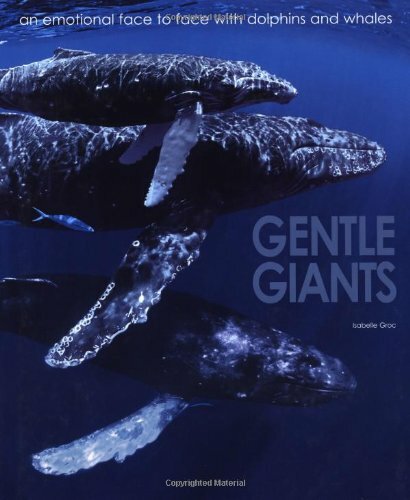 A volume of photographs that invites you to discover cetaceans, this book provides a surprisingly intense portrait of dolphin and whale life, and a fascinating journey through images (which does justice to these amazing animals, who are a symbol of the struggle involved in the preservation of the marine environment). The texts, which are scientifically rigorous but still pleasant to read, are accompanied by a rich and accurate set of illustrations, the work of experienced professionals specializing in nature reporting, who can turn a simple photograph into a wondrous creation, involving the reader in an experience of intimate contact with nature and its primitive force. ISABELLE GROC is a freelance writer and photographer based in Vancouver, British Columbia. She writes about wildlife, conservation, and environmental issues. Her articles and photographs have been published in many publications including Canadian Wildlife, Canadian Geographic, Discover, High Country News, Planning, and British Columbia magazine. Her wildlife photography achievements have been honored through the 2005 CBC David Suzuki Nature in Focus Environmental Photography Competition and the 2010 Art Wolfe International Conservation Photography Awards. Isabelle was awarded several environmental reporting fellowships, including the Puget Sound Institute for Journalism and Natural Resources fellowship, the Scripps Howard Institute on the Environment fellowship, and the Great Waters Institute fellowship from the Institutes for Journalism and Natural Resources. She has a Master's degree in Journalism from Columbia University, New York.